Sure, Valentine’s Day may be the day of living, laughing and loving but not everybody is invested in the gooey Hallmark holiday. Balloons deflate, roses wilt and love never lasts – okay, the last one may be a tad pessimistic. Valentine’s Day is the Marmite of holidays. Some people love it, some people hate it – and it’s not just the single people who hate it. There are many couples who hate the pressure of having to come up with the ‘perfect date’ or get a great gift and it can really strain a relationship. So if you want to let go of your inhibitions and just be your best self (alone), why not grab a chum or go stag to the hottest spot in town this Valentine’s Day – The Kitty Café. Why? Because the ‘crazy cat lady’ aesthetic has now been reclaimed by cool, young millennials. 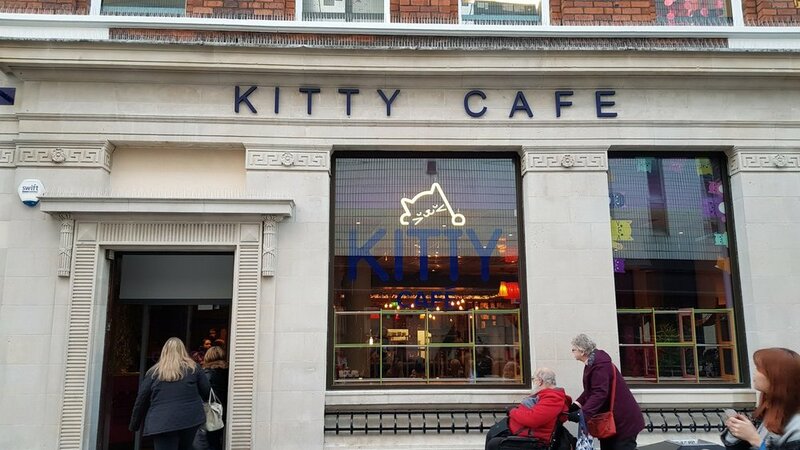 Not as many people want children, they want ‘fur babies’ and what better place to go than the Kitty Café for some grub surrounded by a flurry of feline friends. The Kitty Café allows you to spend time playing with cats that are either; rescue cats, strays and cats with medical issues that are all looking for a forever home. It doesn't get more adorable than that! The cafe boasts variety with their Á La Carte menu, High Tea, mocktails and delicious desserts. Not only that, but you get to see the trained kitchen staff at work in their sealed glass kitchen (to prevent wandering paws from getting in). They’ve got a 5 Star hygiene rating and a scrumptious menu to match. So why not book a table and get your paws stuck into some gorgeous grub. It could be the start of your happily ever after!